Do you enjoy adventures? Do you like to explore new places and meet new people? If the answer to either of these questions is yes, then studying abroad could be for you. Not only will you get to do all of these things, but you'll get to immerse yourself in a foreign culture, learn a new language, and get yourself some life experience that will look great on your CV. Choosing where to apply for university is a very important choice, but it's helpful to know that your options aren’t limited to the UK. There is the possibility to study almost anywhere in the world and, if you're after the best life experiences, it pays to look a little further than home. If you're considering joining the over 40,000 UK students who moved abroad for studies in the last academic year (Go International), we've chosen three of our favourite places to study abroad below to give you some inspiration. Berlin is a fantastic place to study: not only does it have some great universities, but it has an incredible amount of culture to take in too. Known for its thriving arts scene, grand architecture, and war-torn history, the city is simply an amazing place to study. You'll find the locals are super-friendly and more than willing to help you out when you're trying out your beginner's German, so it won't be a huge culture shock if you can't speak the lingo. You'll have to work extra hard if you want to get into a Berlin university, as they require four A-levels instead of the UK standard of three. However, this extra effort is well worth it, especially if you want to study an arts subject. If you're looking for the lowdown on things that you should know before you apply to a university in the city, Buzzfeed's 13 tips for studying abroad in Germany is a must read. If you're looking for a good mix of a new culture and high-quality universities, you won't find many places better than Singapore. Its two best universities, Nanyang Technological University and the National University of Singapore, regularly feature in world top-20 lists, and they place 11th and 15th on Top Universities' 2018 rankings. The country is a fantastic place to go if you're looking to live further afield, but still want to be guaranteed of a world-class education. What's more, Singapore can offer a great lifestyle too. With the third-highest life expectancy on the planet (World Health Organisation), the country certainly knows the secret to being healthy and happy. The city has some of the world's cleanest streets, according to Brushtec, and also some of the safest. You can expect a superb quality of life to go with your first-rate degree if you study here. Looking for somewhere where you can really feel alive? You don't need to look any further than Buenos Aires, the uber-energetic capital of Argentina. As well as having some great universities, the city is a place where you can really lose yourself in its vibrant lifestyle, with something going on at all hours of the day. You can explore Buenos Aires's bustling sidewalk culture, where people kick back and relax in the sun, or tango the night away in one of the city's exciting clubs and dance halls. Spanish is a great language to learn, and will open up many career doors in the future. Buenos Aires is the perfect place to dive in, with friendly locals who are always willing to help you out. The city is also one of the centres for art and fashion in South America, so it's a great location if you want to study one of these fields. 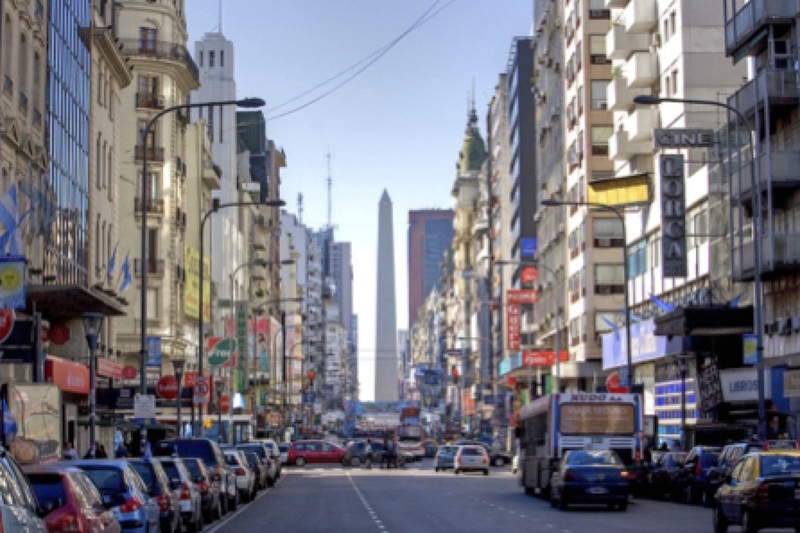 Argentina is a country full of natural wonders and, thanks to great transport links, Buenos Aires is well-placed to provide easy travel to all of them, as well as the rest of the continent. Take a look at The Complete University Guide's fact file on the country to find out more and see if Argentina is for you. So, if you're thinking of studying abroad in the future, consider these three cities and you won't go wrong. Just remember to think about what you want from the experience when you finally decide.